I have kept a journal for years. But in the past two years, maybe two and a half years, I have written every morning. I don’t have any sort of guide, I write whatever I feel like. If I have a dream though, then I record my dream. I don’t interpret it. I just record it. Someone today said that a dream journal is like a record of your unconscious. There is something beautiful and poetic about that statement. I am just meditating on it. One of my sons wakes up everyday and tells me his dream, I feel like now I should record these dreams so that he has a record of his own unconscious -from before he could even read and write. Above is an image from Jung’s Red Book, it was his record of his experiments with visualizations and journeying. They were more than a written record, but included painting and calligraphy, as you can see above. I think about my own journal, and what it would take to turn it into a work of art like this. I feel like it could easily get mired in scrapbooking or mundane events. To me, the red book is great art, to which a scrapbook or even an artist notebook. What makes that distinction? I do not know but I hope my dreams are worthy of my own red book, and that I could rise to the challenge of creation. I am about 5 years behind the literary trends. This is somewhat intentional. I figure if a novel is worth the hype people will be still talking about it in 5 years. This is really not true, there are some terrible novels that people talk about for 20 years. But I want to keep up with the literary trends somewhat, so 5 years seems ok. In my attempt to read more fiction, I picked up My Brilliant Friend, which in my mind keeps changing to a zombie mashup called My Brilliant Fiend. Lian started it a few years ago and only made it 80 pages. He wanted more environmental description. For me, too much description is a deterrent. There are so many novels that I find overwrought with environmental description I feel claustrophobic. 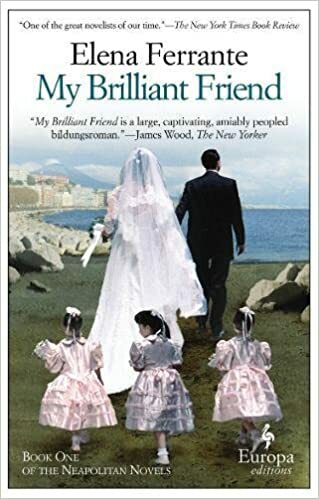 My Brilliant Friend, meanwhile is very much about the impressions and perceptions of the main character – (I am not that far in the novel so this may change). I am fine with that. I imagine the classroom, the streets, in my minds eye. The ambiance of the main character’s emotional perception of events creates the milieu for me. Maybe there are two kinds of readers, ones that like environmental description, and ones that like inner consciousness descriptions. The conceit of the novel is good, she is recreating the life of her lost friend who disappeared. It is a mystery without being a who done it/police procedural. Something about the novel reminds me of Confessions of Zeno but that may be all in my head. One of my new years resolution is to garden. This is difficult because I live in an apartment without a balcony. However, there are lots of solutions I have explored such as soil boxes, hydroponic setups, and kits. I would like to explore hydroponic on day, all the electronics speak to my inner geek and I feel like I could do some crazy raspberry pi project. For now I am going to start with kits. 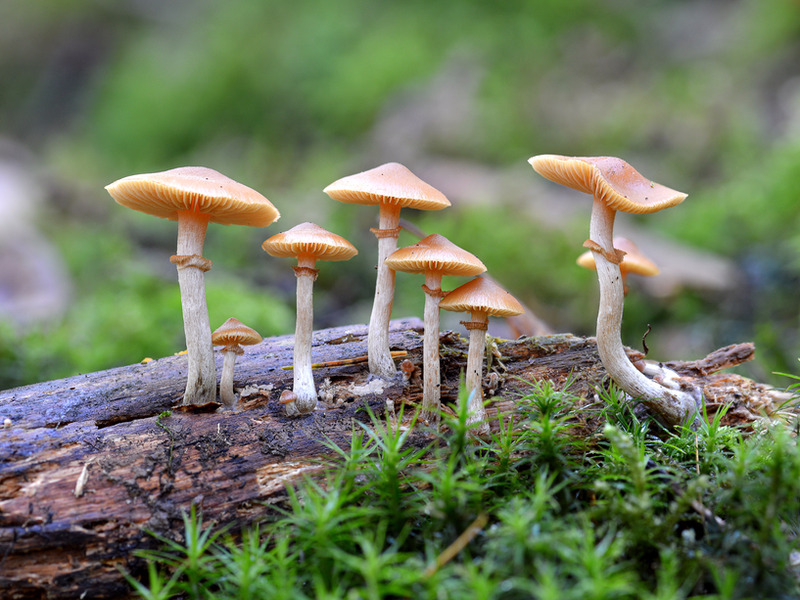 For years I have wanted to grow mushrooms, I have been fascinated with mycology and mycelium ever since I read Michael Pollan’s The Omnivore’s Dilemma. For some reason, I thought Pollan wrote that mushrooms have no calories since they dont use sunlight to grow. This blew my mind. I subsequently learned that this is not true – but mushrooms still amaze me. I went on to binge read everything I could on mushrooms, their relation to nutrition, consciousness, and cleaning up pollution. I was especially drawn to the work of Paul Stamets. I wanted to go mushroom hunting. I tried to convince my collaborator Paul to do a mushroom documentary. I fantasized about growing mushrooms. I have crazy oversized tombs scattered across my apartment along with ancient titles that look like sci fi books. Since I am a tad neurotic I was afraid I would some how poison myself eating a mushroom that I grew or found. This has stalled my mushroom development. Today, though I took the plunge and I’m going to use a mushroom kit to grow some mushrooms with my kids. With endorsements from Oprah and Martha Stewart, I feel I am in good hands. After that maybe I will try some basil in a box or something…. Baby Steps. 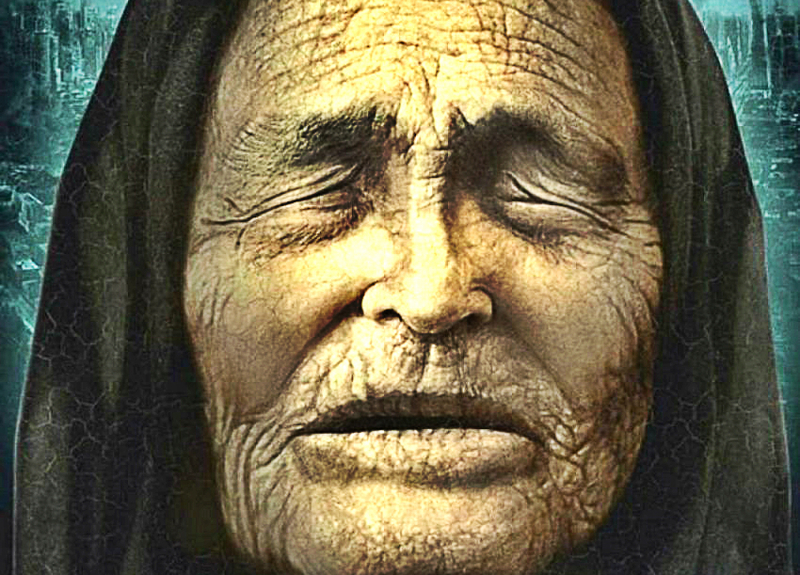 This is Baba Vanga, the Bulgarian Nostradamus. Yep – Baba Yaga, the old witch of Slavic legend. Instead of focusing on predictions and the supernatural, lets think about old women, I hope to become one, one day. And the knowledge and power that is embodied within the old woman. Who needs the hero’s journey?? Lets have the Baba’s journey! 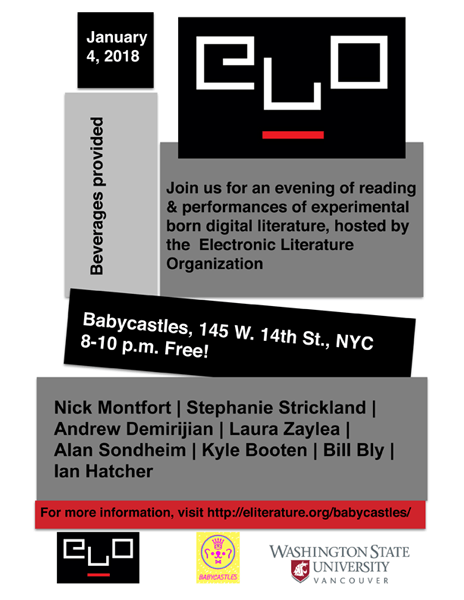 Last night I went to a electronic poetry reading at Babycastles. It was freezing, but the place was packed and the lineup was fantastic. I thoroughly enjoyed all the presenters, although one thing that struck me was how many of the poets seemed in dialog with their tools. For example Kyle Booten, created an machine learning system that he trained to identify certain authors such as Whitman and Dickinson. He state a line and would continue to change it until the machine learning program deemed the line written by the author in question. He also did this where he changed one word at a time. As is the case with a lot of electronic artistic mediums, it was like watching a musician play with an instrument. In one of Andrew Demirijian’s pieces, he had captured screen shots from obscure films with subtitles. He had composed atmospheric music over the cycling screengrabs, but it because true poetry when someone shouted, “read the subtitles” … and he started to read them. There was beauty, humor and lots of laughing. There was something playful and joyful about this, about this unknown experience unfolding. So much of our interaction with technology is restricting and alienating (see Simondon), that there was a joy and freedom in engaging with these tools to create something unexpected. There is no artistry in the tool. Michelangelo made his own paints, his own scaffolding, but really all that matters is the painting on the ceiling of the sistine chapel. To worship the tool is to miss the point, to fetishize. But is this true? We worship the Fender, the Stradivarius, the Les Paul. Are computers a tool like a paintbrush or like a Steinway, and does it matter and is this really an accurate distinction? There were works that were created from using programing or technology to create or compile the work. But for me that was less interesting than works that were cyborgean performances. I think of something like Caroline Bergvall’s Via , which is a list of translations of the first line of Dante’s Inferno. I find it to be a beautiful, touching, and layered poem, that I do not tire of rereading. Would it be any more or less beautiful if a computer selected or compiled those translations? To me it does not matter.